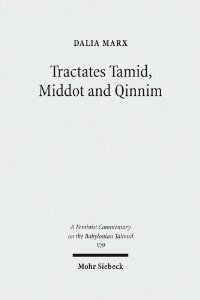 Dalia Marx, Tractates Tamid, Middot and Qinnim. A Feminist Commentary on the Babylonian Talmud, Tübingen: Mohr Siebeck, 2013, XII + 258 pages. €89.